Did you know the Enterprise brand operates on more than 50 military bases throughout the U.S.? In celebration of Independence Day, Bryan S., Director of Federal Government Sales, shares unique insight into military base branch operations while Rabia A., Assistant Manager at the Fort Polk military base branch in Vernon Parish, Louisiana, and Hope B., Branch Rental Manager, reflect on their experience of helping heroes get home for the holiday, and throughout the year. The majority of rental customers at Fort Polk, and other military base branches, are active duty military members and their spouses. During holidays, such as the Fourth of July, it’s common for service men and women to get a four-day break, leading to an uptick in business at base locations. “Fourth of July brings in a lot of walk-in customers, and we are especially motivated to get them in a car and on their way,” says Hope. “They fight for us and we pay it back by going the extra mile for them.” Going above and beyond for customers can have a unique flare at base locations. Beyond the Fourth of July, base locations can have varying peaks in business thanks to base activity and military training activities. 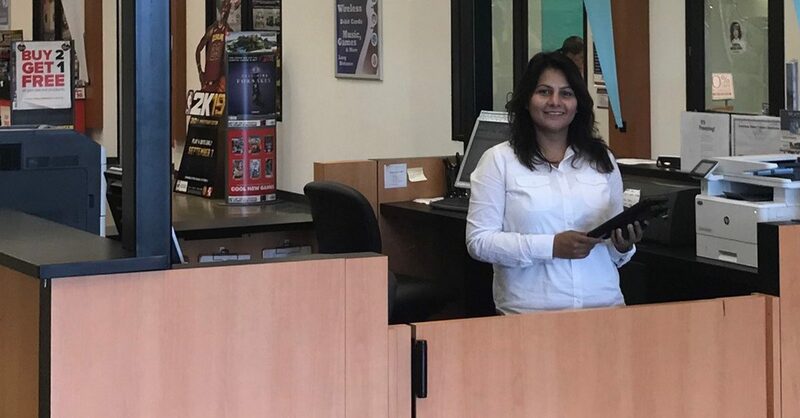 Rabia has worked at the Fort Polk branch for just over a year. While her prior Enterprise experience was at a traditional location, she finds her time at the military base to be inspirational, motivating and immensely rewarding. But there’s one type of experience she encounters that will always spark a passion to provide the best service possible: a soldier’s return from deployment. Prior to leaving for an assignment, it’s typical for military men and women to sell their vehicles. For those who don’t, it is common for their cars to experience mechanical issues after being idle for several months. Either way, service members find themselves in a situation where they need transportation. This level of dedication is not only noticed, but met with gratitude. Happy Fourth of July and thank you to all the Enterprise employees who have served in the military.